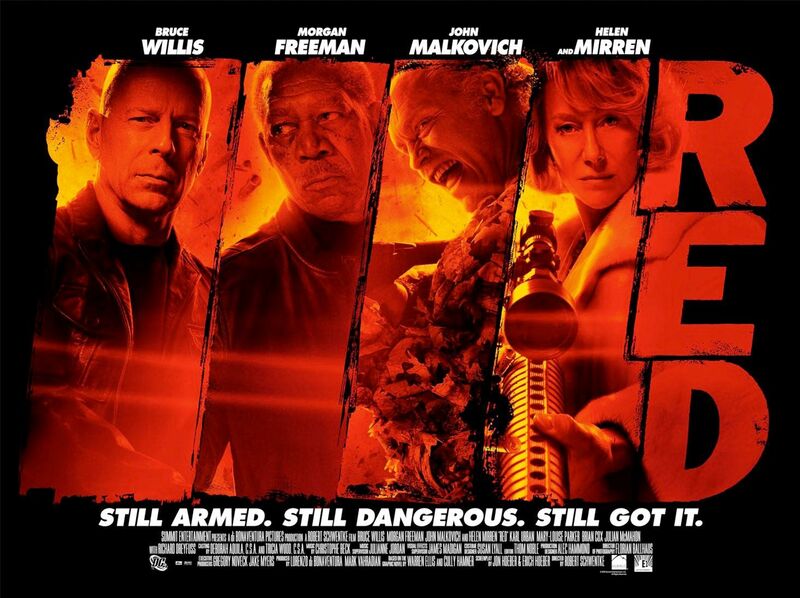 Earlier this month a major casting announcement for Red 2 was made. We learned that Bruce Willis, John Malkovich, Helen Mirren and Mary-Louise Parker will all be returning for the follow-up to the 2010 hit, joined by newcomers Catherine Zeta-Jones and Byung-Hun Lee. Now it appears that director Dean Parisot (Galaxy Quest) has found his villain. Heat Vision reports that Anthony Hopkins is in negotiations to join the cast as the film’s baddie, but he has a few scheduling issues to work out first. He’s set to return as Odin in Thor 2, which is also shooting later this year, but the actor is apparently keen on taking the Red 2 role as well. Hit the jump for more. In the sequel, Heat Vision reports that Hopkins would play a “genius scientist who was locked up in an insane asylum.” When the initial casting announcement was made I speculated that Zeta-Jones would be playing the villain, but it appears I was mistaken. Hopkins and Mirren are currently filming Hitchcock, in which the former plays legendary director Alfred Hitchcock. Mirren plays the filmmaker’s wife in the film, which takes place during the production of Psycho. There’s no official word on when Red 2 would start filming, but Marvel’s Kevin Feige told Steve in April that Thor 2 would start shooting “in three months”, which would put the production start-date for the superhero pic in July. Thor 2 is chasing a November 2013 release date, but if Hopkins’ Odin role is relatively small in the follow-up he could conceivably fit both Thor 2 and Red 2 in his schedule.